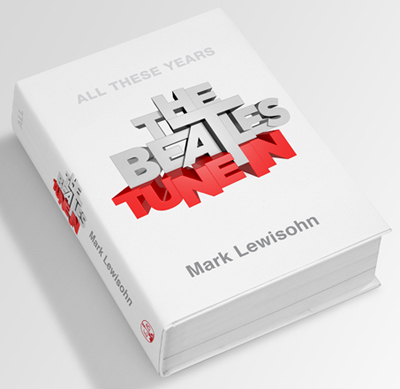 If you checked our face book page yesterday, you already know that Mark Lewisohn signed a staggering 500 copies of his must have new book, Tune In: The Beatles All These Years, Volume 1. There were about 60 unsold, we sent out an email blast and they sold in 90 minutes. So many tried to purchase it last night, so I contacted Mark and asked if he would sign another 300 copies. He graciously said yes and it looks like they will be signed tomorrow. So if you haven’t ordered it yet, do not delay. This is the Beatles book that will go down as, perhaps the greatest Beatles book ever! And this is only Volume One – 932 pages that covers the ‘boys’ from the beginning through December 31, 1962. The publication date is next Tuesday. We start shipping out tomorrow so most will have their pre-ordered copies on or close to the 29th. The photo is from yeesterday’s signing. 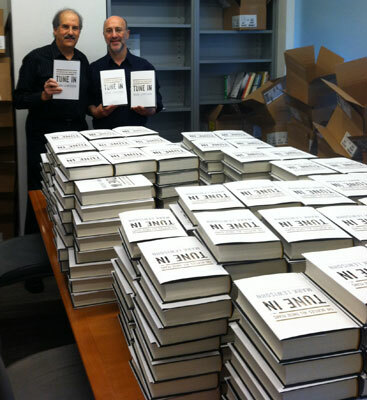 Sold Out of Signed Copies of the Tune In Book! 9/11 – 6:00AM EDT: Because of the overwhelming response to our special offer of signed copies of Mark Lewisohn’s forthcoming book, Tune In, we have ended the offer. Mark can only sign so many copies in the time he will have while in NYC around the time of publication (10/29/13). We thank all of you for your response to what is going to be the biggest Beatles Book event since The Beatles Anthology Book was published 13 years ago. You may still pre-order the book but don’t expect it to arrive signed. We, and Mark thank you for such a positive response to his book. We also personally thank Mark for agreeing to sign such a large amount of books for our customers. MAJOR BOOK ANNOUNCEMENT: The most important Beatles Book of all time is being published on October 29th. THE BOOK IMAGE SHOWN MAY NOT BE THE FINAL BOOK COVER USED. WE WILL PUT UP THE FINAL COVER AS SOON AS WE RECEIVE THE ARTWORK. 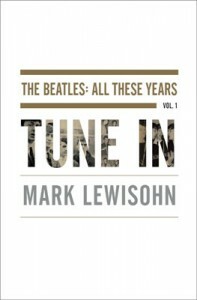 6230 -THE BEATLES TUNE IN: ALL THESE YEARS, VOLUME ONE BRAND NEW It has been 10 years in the making, and MARK LEWISOHN’s epic 1248 page Hard Cover Book is going to be well worth the wait. List Price $40.00 SPECIAL PRE-ORDER PRICE FOR THIS WEEKEND! groundbreaking trilogy about the iconic band that changed the face of pop music. TUNE IN uncovers the lives of John, Paul, George and Ringo as never before. Their enduring fame and legendary exploits have led to countless biographies of the Beatles, but now we have the ultimate portrait. Tune In is the first book in a genre-defining trilogy, telling the story of the Beatles from before their beginning up to the final night of 1962, with success within their grasp and on the cusp of a whole new kind of celebrity. This is the lesser-known Beatles story – the pre-Fab years of Liverpool and Hamburg – and in many respects the most absorbing, extraordinary and incredible period of all. Here is the warts and all story of their family backgrounds, childhoods, and their infatuation with American music. As Tune In chronicles in amazing nuance, everything comes together in these years and in this one book: the Beatles’ talent, charisma, looks, personalities, honesty, humor, attitude – and the Lennon-McCartney partnership. Forget what you’ve read or know about the Beatles, tune in, and start anew. THE GREATEST BEATLES BOOK EVER WRITTEN. A decade in the making, Tune In is a staggering achievement – the most detailed recreation of how the most famous rock ‘n roll band in history came to be. A MAJOR PUBLISHING EVENT. Musicians, collectors, scholars, historians, critics and legions of Beatles fans are awaiting this publication with a near desperate sense of interest and enthusiasm. NEWSMAKING. Tune In is a completely fresh take on every aspect of the Beatles’ origins with scores of new interviews and tidbits certain to draw headlines. Written from an immense wealth of primary and insider sources, many never heard or seen before, including letters, contracts, photos, recordings and hundreds of new interviews and deep dive into libraries and archives from around the world, Tune In is told with panache, wit and the alluring, authoritative style of a master storyteller. AUTHOR PLATFORM. Mark is the world’s only professional Beatles historian – the recognized expert on this subject.